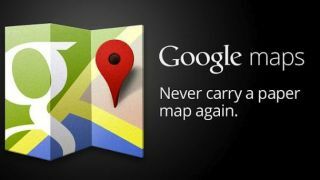 Since Apple replaced Google Maps with its own heavily-criticised and seemingly unfinished Maps app, Google is reported to be working on launching a standalone offering for the App Store. In the meantime, iPad and iPhone users are flocking to the web version of the app, and Google seems keen to capitalise on the goodwill folks are now feeling towards its ousted mapping service. The prospective addition of Street View, will allow users to move along roads, explore areas at the street level and even venture inside some buildings. Wossberg wrote: "Google plans to announce on Thursday that it is adding its popular Street View feature, missing from Apple's maps, to the Web version of Google Maps accessed from the iPhone and iPad. "I tested this addition, which displays 360-degree photographic street views of selected locations, and interior photographic views of certain businesses, using sample links Google sent me. These links worked well, allowing me to see the locations and pan around with a finger." Wossberg, in his video test of Apple Maps vs Google Maps (on Android) unsurprisingly found that the latter is superior, at this present time, but he did point out that Apple's navigation experience was "more striking and easier to read at a glance." We'll let you know when Street View lands on the Google Maps web app.